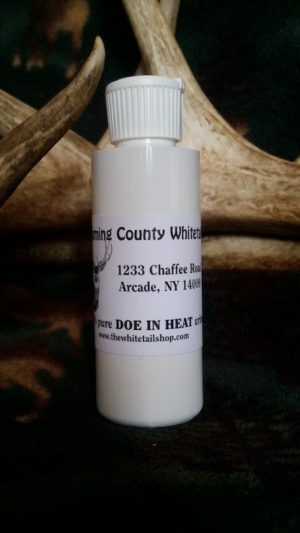 Premium fresh 100% whitetail doe in heat urine with no additives or preservatives. “Free dispenser bottle included with each gallon purchase. To keep your gallon fresh longer after you use part of the bottle squeeze as much as out as you can and recap tightly. You can also rebottle in smaller bottles. Empty water bottles work well. The less air in the urine the longer it will stay fresh. 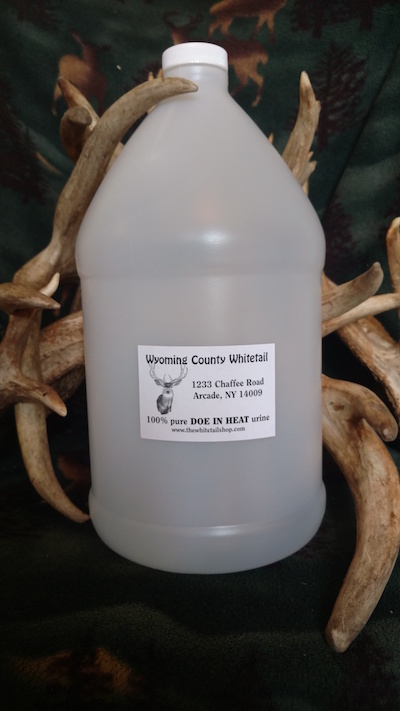 Premium fresh 100% whitetail doe in heat urine with no additives or preservatives. Collected twice daily from on our farm from our own does while they are in estrus which is refrigerated immediately to keep it fresh. 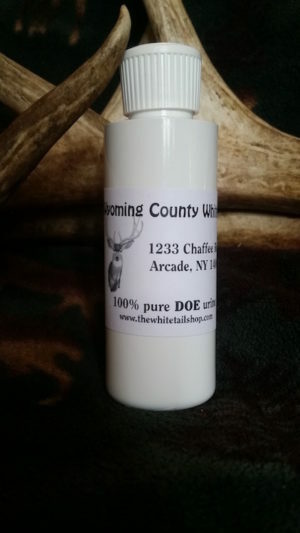 This is one of our most popular products and is used as an attraction scent to draw in bucks and give you those extra few minutes to get a good shot. 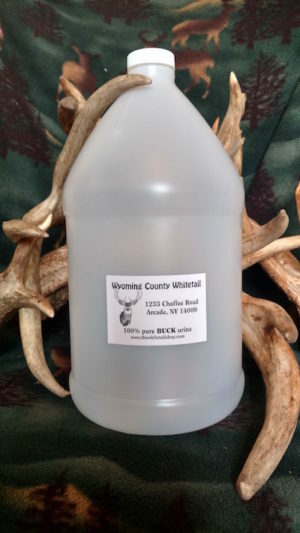 As with our other deer urine products, this is also yellow or light cider color. If you have been buying mass produced scents from the big scent makers you will be please with our urine which actually looks and smells like urine. This is because all our whitetail urine is coming directly from our farm to you.